I am Celeste Deal-Maunoir and I’ve been providing innovative financing to restaurants for over 10 years. I am the Senior Vice President of Sales for ARF Financial LLC, a company that has established partnerships with community banks to provide lines of credit and bridge capital loans to restaurateurs. I work with both national franchise chains and local independent restaurant groups to help them with their secondary lending needs. 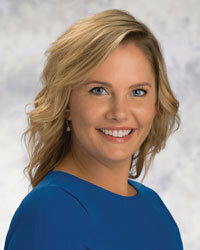 My name is Becky Daniel, Vice President and Senior Loan Consultant for ARF Financial. I have over 10 years of B2B sales experience supporting local businesses in the state of Texas. I am very passionate about helping my clients achieve their goals. I can offer expert finance and marketing programs that help clients build their business and increase profits. As an expert in advertising and providing working capital, I know how to help and promote any business.